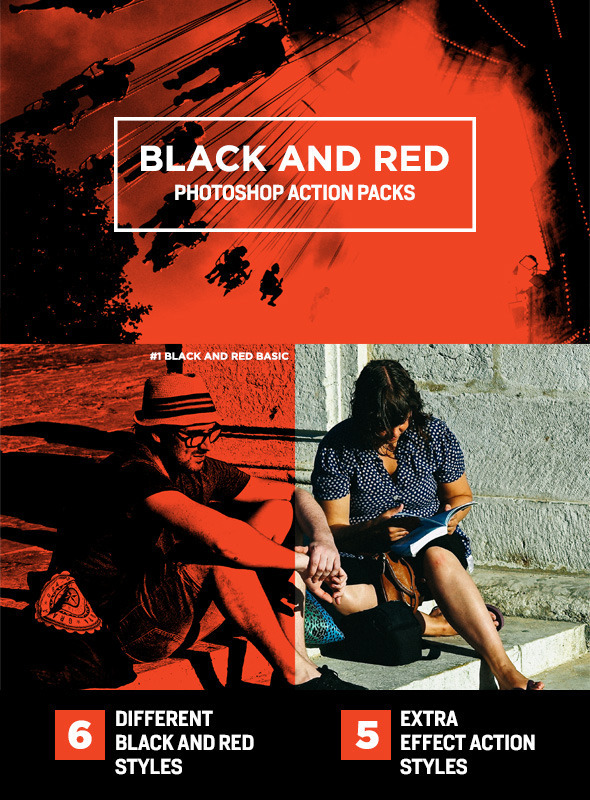 This packs include 11 action style of black and red photoshop action. 1. Open Photoshop, and click on the Actions Palette menu button (located in the top-right of the Actions Palette. Select “Load Actions”. 2. 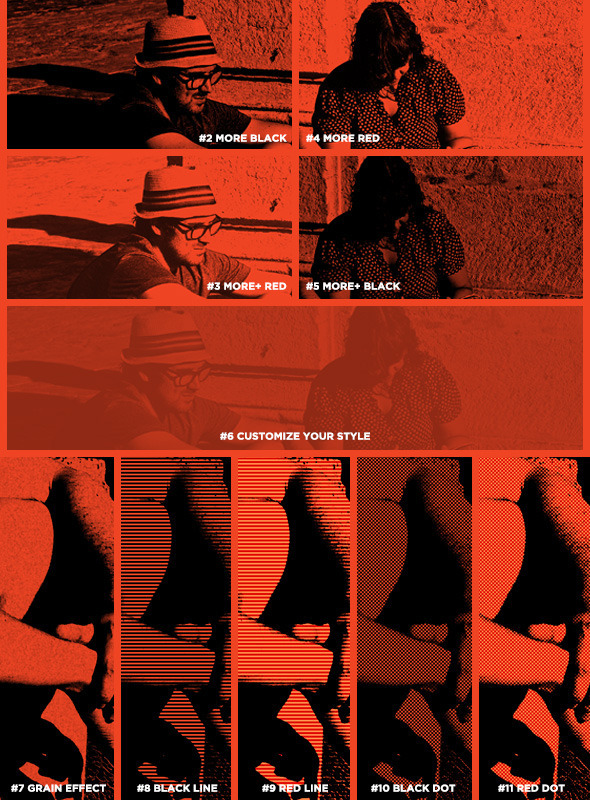 Select ‘Black and Red Photoshop Action’ of the .atn files from the extracted zip downloaded folder. 3. Open image as jpg, and keep it as a background. 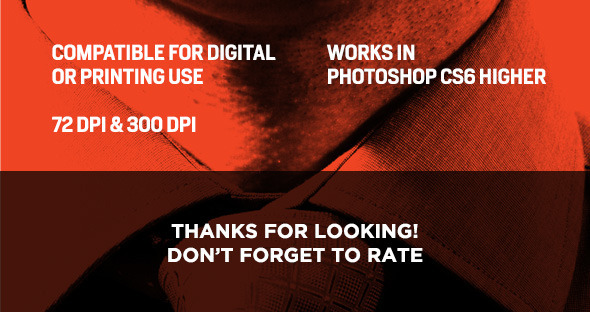 Don’t copy layers or keep flatten background. 4. Play! Simple, right?